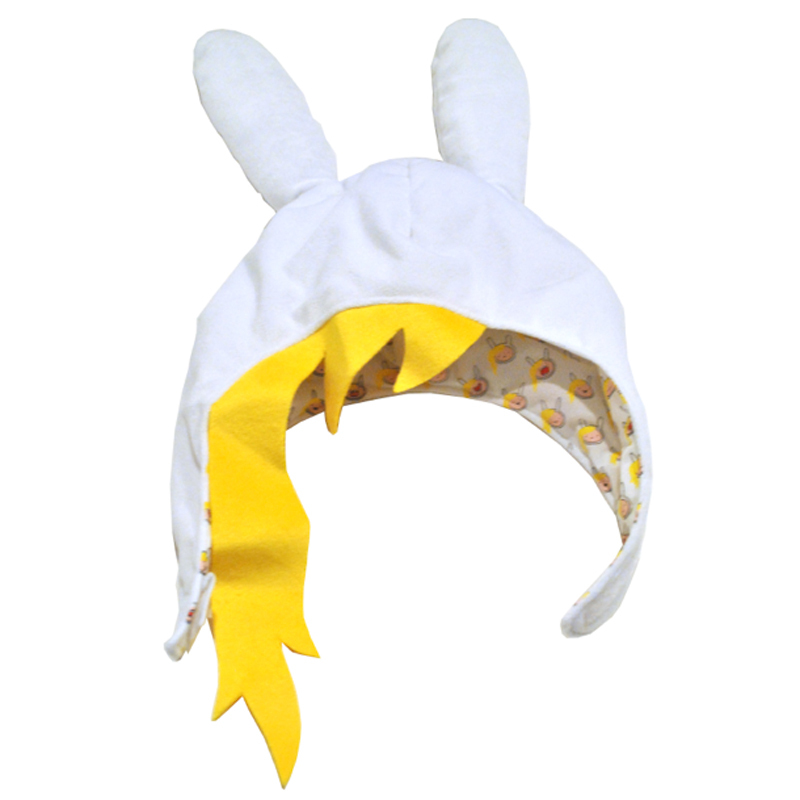 Get Fionna's awesome Hat, complete with blonde bangs. You'll be swiftly transported into the Land of Ooo with Cake, Finn, Jake, and Marshall Lee together in one, giant, messy Adventure! Feature: - Fionna Hat fits most heads. Elastic strap with velcro allows for adult and child fits. Made of 100% Polyester.